VIDEO: Watch Santhosh in a video speaking about Jesus Christ always being with us. In every possible way, we preach about the love of Christ to the lost world. Once they lived without any hope for the future. Almost all of them were under the clutch of devil and cruel people. Rejected by their relatives, they lived in the darkness of this world, but now they are chosen by God to live a life with many dreams and hopes for a bright future. After coming to our center, they have come to know real love, care and compassion. All these kids are studying and growing in the Lord. They need your help now. Let us join together to give them a better future and lead this nation to Christ. Thousands of people in Indian villages suffer, not having sufficient warm clothes or something to make them warm during the winter season. Cold waves and extreme cold have taken away hundreds of precious lives in the villages and slums in the winter season. Our mission has helped many aged people by providing them with blankets, sweaters, heater in their homes etc. We want to continue doing this and show the love of Christ to these poor and needy people. 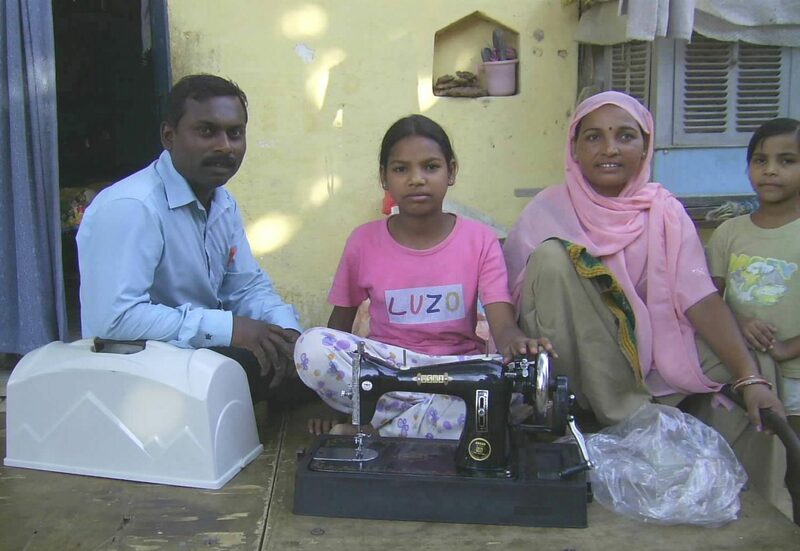 You can read more about our ministry among the poor and needy people in the villages by clicking on this picture. To penetrate the tribal areas and make them Christian is the greatest challenge we face in India. You will find their homes full of idols. All these idols are made in wood and stone by their forefathers, and are worshipped. Every year during a particular month, they make a festival and sacrifice animals to appease these gods. As you explore our site, read how our people miraculously lead these tribal people to Christ. Their experience and the challenges they have taken on to reach these areas are breathtaking. There are thousands of such tribal villages yet to be evangelized in India. If you are serious about the Great Commission of Jesus Christ and have ideas and a heart for equipping young generation for him – please come to our nation and prepare the young for the Gospel and to work for God. We welcome you to come and see how God can use you to build up young people for God’s work. We train and send people to remote villages in order to reach them for Christ. Hundreds of home fellowships and prayer cells have blossomed and are growing fast. 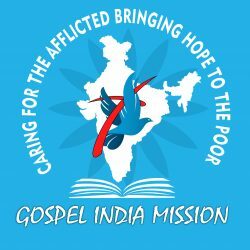 Please click on the picture to know more about our training and how it is helping our people reach more souls in India. Even from youngsters to the aged, people happily accept Jesus Christ. The poor village people are under superstitions that have been imparted to them from their forefathers. Animal sacrifice, child marriage, illiteracy, witch craft etc. have made their lives miserable. When they hear about Jesus Christ, the Lord who never wants a sacrifice to appease him, they are very happy. Through the prayers of the Gospel workers, God does miracles among them, and these miracles bring them to know that Jesus Christ is the real God. Only getting to these remote villages is a challenge too. Bicycles are the only travelling vehicle. Video projectors, VCD players and TVs are helpful to spread the Gospel. We are praying for these needs. 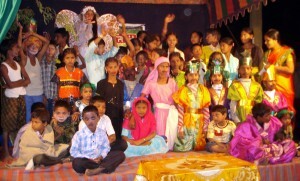 Please click on this picture to know more about how people in these villages are coming to Christ. If you have never heard about Jesus Christ, The Son of God, or you would like to know more about our work and faith – do not hesitate to contact us.